The negative physical effects of e-cigarettes were recorded within the first 30 minutes after use. E-cigarettes with nicotine may be linked to arterial stiffening, which can increase the risk for heart attack and stroke. This finding comes from research presented at the European Respiratory Society International Congress 2017, held from September 9 to 13 in Milan, Italy. “These results are preliminary, but in this study we found there was a significant increase in heart rate and blood pressure in the volunteers who were exposed to e-cigarettes containing nicotine,” Magnus Lundbäck, MD, PhD, lead researcher, said. E-cigarettes are battery-powered smoking devices that contain cartridges filled with liquid that can either contain nicotine or not. A heating device is used and the person inhales the vapor. How Does Gender Impact Efficacy of Pharmacotherapy for Smoking Cessation? The safety of e-cigarettes has been debated, and there is evidence to suggest they are associated with adverse health effects. To conduct the study, Dr Lundbäck, who is the clinical registrar at the Danderyd University Hospital, Karolinska Institute, Stockholm, Sweden, and colleagues recruited 15 young healthy volunteers who rarely smoked (ie, a maximum of 10 cigarettes per month). Participants had not used e-cigarettes before. The researchers randomly assigned participants to use e-cigarettes with nicotine for 30 minutes on one of the study days and e-cigarettes without nicotine on the other day. They measured blood pressure, arterial stiffness, and heart rate right after smoking the e-cigarettes, 2 hours later, and then 4 hours later. Results showed that there was a significant increase in blood pressure, heart rate, and arterial stiffness in the first 30 minutes after smoking e-cigarettes containing nicotine. 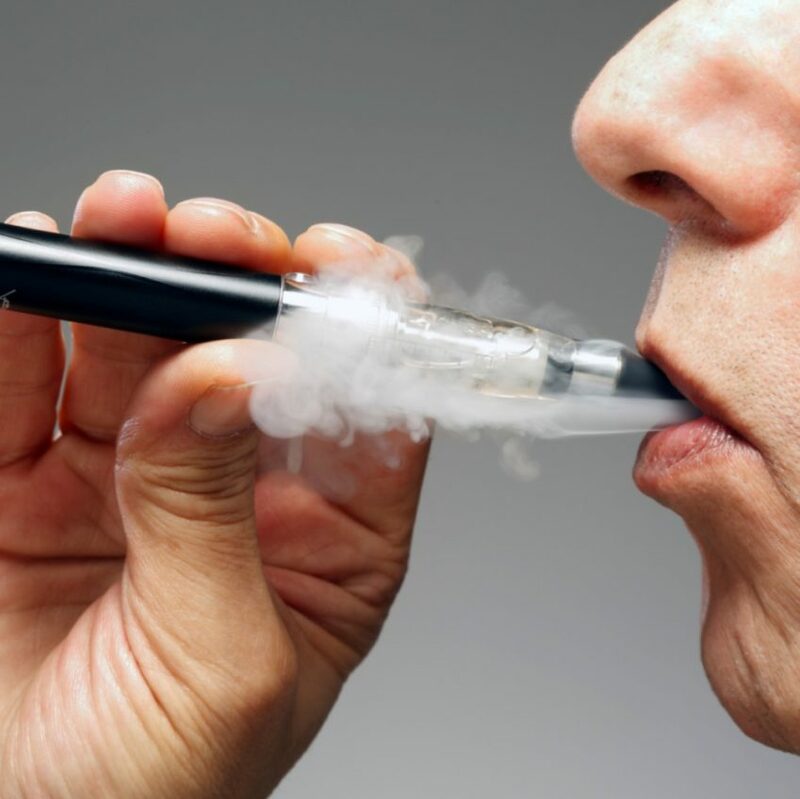 Volunteers who smoked e-cigarettes without nicotine did not experience these effects. “It is very important that the results of this and other studies reach the general public and the health care professionals working in preventive health care, for example in smoking cessation,” Dr Lundbäck said. E-cigarettes linked to increased arterial stiffness, blood pressure and heart rate in humans [press release]. Sheffield, United Kingdom: European Lung Foundation; September 11, 2017. http://www.europeanlung.org/en/news-and-events/media-centre/press-releases/e-cigarettes-linked-to-increased-arterial-stiffness,-blood-pressure-and-heart-rate-in-humans. Accessed September 22, 2017.